A common misconception about the ketogenic diet is that sweet treats can no longer be enjoyed. This is far from the truth! There are TONS of keto dessert recipes that will not bring you out of ketosis that are actually good for you. The key is using simple ingredients and keto-friendly sweeteners. In this article you will find 25 of my favorite keto dessert recipes. Instead of feeling a rampant energy spike and crash after consuming these desserts, you should instead feel satisfied and full of energy. That is because these recipes utilize whole food ingredients like raw cacao, coconut cream, and sugar-free sweeteners. If you are like most people in our society, then you may not realize that the bulk of your calories are coming from sugar. This pattern of eating leads to chronic insulin stimulation which essentially tells the body to store fat (1). Chronic insulin elevation can lead to insulin resistance, accelerated aging, and a much higher risk of chronic diseases like diabetes, heart disease, and cancer (2). My approach when I coach anyone dealing with some sort of health challenge is always to address blood sugar balance first. This seems to be one of the most prominent factors holding most of our population back from experiencing their full vitality on a regular basis. If you are new to the idea of a ketogenic diet, there are a number of reasons why you may consider at least trying it out. 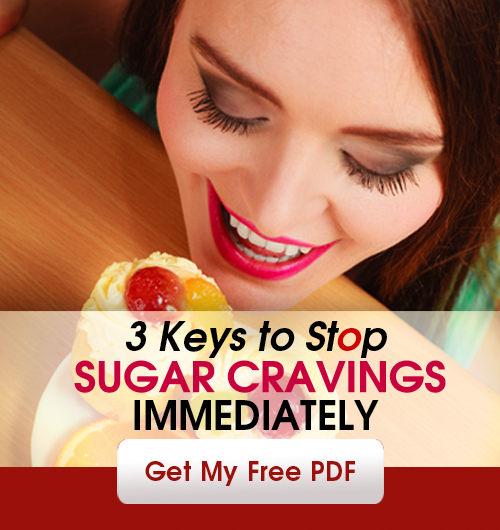 The body is able to burn either sugar or fats as a primary energy source. 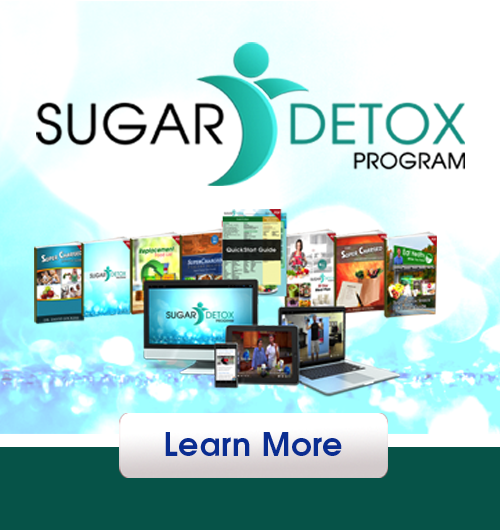 Most people are heavily reliant on sugar in this regard. Unfortunately, sugar is burned much more quickly and produces much more metabolic waste than fats do. This leads to blood sugar fluctuations, insulin resistance, and chronic inflammation over time if you are not careful. 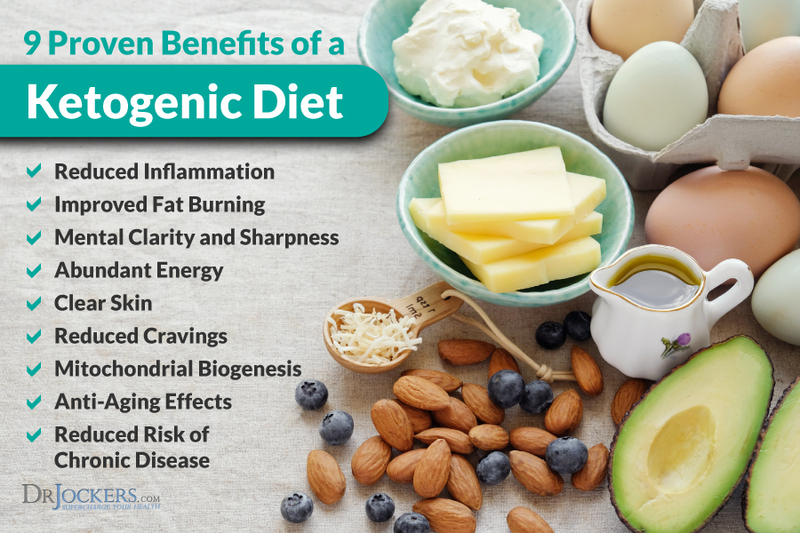 The ketogenic diet is a low-carb, high-fat diet that aims to shift the body into a fat-burning state where many people experience abundant energy. Several studies have shown that this style of eating is highly therapeutic for improving blood sugar, balancing cholesterol, and reducing the risk of heart disease when compared to a low-fat diet (3, 4). There are two keys to creating a keto dessert. First, you must have a source of healthy fats to support ketone formation. Second, using a sweetener that does not cause a blood sugar spike is absolutely critical. In my experience, the absolute best ketogenic sweeteners are stevia leaf extract or monk fruit extract. Not only do these sweeteners not contain any sugar, but they actually have unique therapeutic benefits due to their nutrient content. Sugar alcohols like erythritol or xylitol have their place as well. If you tolerate them well, then power to you! I have noticed clinically that some individuals will have mild digestive upset when using these. If you do not have any digestive issues with sugar alcohols, then they can also be an excellent keto sweetener to use at your disposal. There are also excellent keto friendly sweetener blends such as this lokanto sweetener which is a 1 to 1 mixture of monk fruit and erythritol. Each of these sweeteners have their own potency and slightly different flavor profiles. Feel free to experiment and find which one hits your taste buds just right in these keto dessert recipes! Without further ado, lets jump into some of my favorite keto dessert recipes. Some of these I make weekly or even on a daily basis. In fact, one of these I consume just about every day as my lunch! Yes.. you read that right – dessert for lunch. How can you get bored of that? You will also find that these desserts leave you satisfied much longer than typical sugar loaded desserts. The healthy fats make them very rich! Click the pictures under each of these recipes to be taken straight to the recipe page and get started on making your own keto dessert. Who doesn’t love the combination of chocolate and nut butter? This keto dessert recipe replaces peanut butter with almond butter in a classic treat that only takes 15 minutes to make. Simply combine coconut oil, almond butter, raw cacao, and few more ingredients then give them some time to form in the freezer and you’re ready for a treat! This one is full of healthy fats, antioxidants, mood boosting compounds from cacao, and fiber from the chia seeds. These cookie bars include coconut flour, coconut almond butter, and melty chocolate chips. Since they include pastured eggs and butter, you get the added benefits of metabolism-boosting butyrate, conjugated linoleic acid (CLA), and retinol. After you make these, simply keep them in the fridge and pop out a slice when you get the craving. Place it in the oven for a few minutes and you’ve got yourself a decadent melt in your mouth keto dessert or snack. I love macaroons and these are super easy to make. Shredded coconut, cacao powder, keto maple syrup, coconut oil, and bone broth protein. That’s all it takes! Simply pop a few of these when you get hungry as a snack or after your meals as dessert. The bone broth gives this dessert a supercharged punch that is great for your bones, joints, skin, hair, nails, and gut! Ah yes.. a decadent chocolate mousse that also contributes towards your daily intake of veggies. Yes this keto dessert recipe involves cauliflower but don’t let that throw you off before you try it, it’s delicious. This chocolate mousse combines coconut oil for healthy fats, cacao for flavor and antioxidants, pastured-gelatin for fluffiness, and keto friendly sweetener to finish it off. Make it for someone you love and see if they can guess the main ingredient! We all need a little more collagen in our lives. Collagen makes up about 30% of the protein in our bodies. It ensures we have strong muscles, bones, joints, hair, nails, and young looking skin! This chocolate coconut combination is delicious and actually provides a significant collagen boost to your diet with the addition of bone broth protein. They also include some of my favorite anti-inflammatory foods like sprouted pumpkin seeds, raw cacao, and coconut oil. I have always loved cookies. When my wife came up with this keto chocolate chip cookie recipe, I couldn’t stop eating them! Most cookies are full of sugar and contain inflammatory flours that destroy your body. Well this cookie recipe is sugar-free and flourless! Almond butter and pastured eggs make up the base. Simply add in some sweetener, a nut of choice (I use walnuts), and dark chocolate chips and you’ve got yourself a cookie! These are similar to many fat bomb recipes that you will find floating around the internet. Great for a quick snack anytime of the day. These are super simple and typically only take about 30 minutes to make. These feature coconut almond butter and coconut oil for healthy fat along with chocolate bone broth protein for the added benefits of bone broth! Sugar-laden treats break down your skin due to advanced-glycation end products, this keto dessert makes it more resilient! 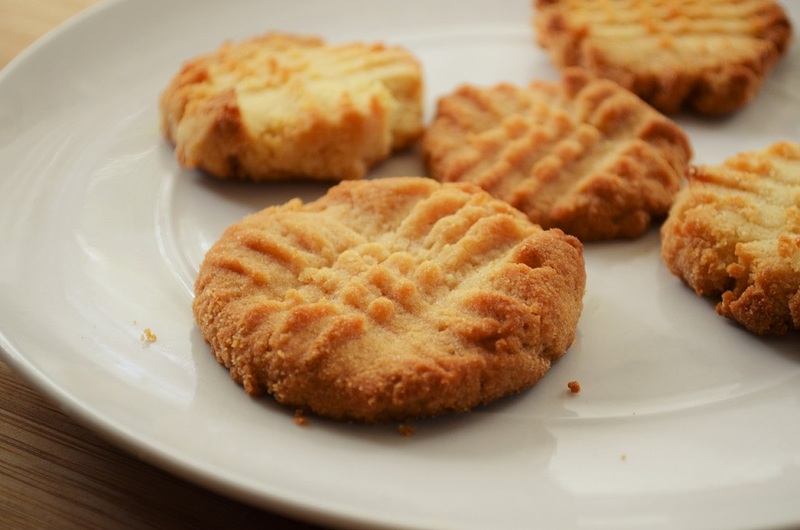 If you are looking for a more mild and light treat, short bread cookies can be great. Per cookie, these contain 9 grams of fats and 1 gram of net carbs. All it takes is coconut flour, grass-fed butter, and your sweetener of choice! I like to use vanilla extract and a bit of vanilla stevia but feel free to experiment how you like! There is nothing like snacking on raw cookie dough. 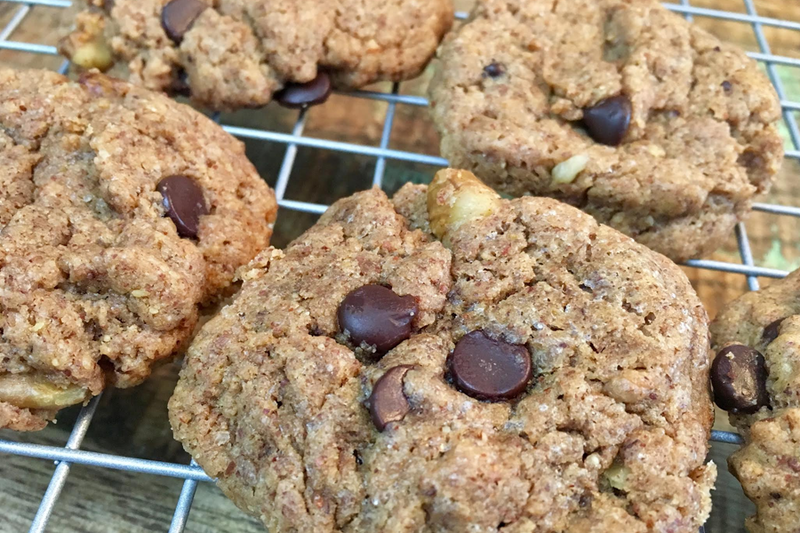 This recipe combines nut butter, vanilla protein powder, a bit of coconut milk, dark chocolate chips, and your sweetener of choice to replicate the consistency of raw cookie dough. Sometimes people struggle to digest nut butters. Personally, I use almond butter as it seems to be what I tolerate well. With the added benefits of bone broth protein, you can feel good about digging your spoon into this cookie dough. Before, donut holes were sugar bombs… Now, they can be a delicious keto dessert or snack anytime. Replace conventional flour with coconut flour or protein powder and add in a bit of coconut butter, water, and keto friendly flavors you find pleasant. I like the simple combination of vanilla and chocolate chips in these but feel free to experiment to make all kinds of unique keto friendly donut holes! Mmmm… warm, melty brownies. Who doesn’t love them? Instead of a processed flour and sugar bomb, these are made with 3 sources of healthy fats! Yes the base of these are made up of almond butter, avocado, and coconut oil to keep you full and energized. The avocado instills an added boost of fiber and fat-soluble antioxidants that only boost the nutritional value of the raw cacao, almond butter, and coconut oil for a super nutritious keto dessert. Ah yes.. peppermint patties. It seems that some people love them and some people can do without. If you are the former, try these. Especially if you are someone who is dealing with the infamous keto breath, these are sweet and refreshing to the palate. Coconut oil provides the healthy fat base. Then simply add some keto friendly sweetener, peppermint essential oil, and of course chocolate. The combination of peppermint and dark chocolate is both refreshing and revitalizing. Especially in the summer months, we all love digging into a bowl of ice cream. Coconut milk makes an excellent base for keto ice cream. Then all it takes is a keto sweetener and your keto friendly ingredients of choice. You can even add in a few scoops of bone broth protein for added protein and nutrition. For vanilla, check out this recipe here, for chocolate check out this one. Sprinkle on some shaved almonds, macadamia nuts, dark chocolate chips, or anything else you desire to make it your own. Instead of leaving you in a sugar coma, the small amoiunts of mct in the coconut milk will leave you feeling energized and satisfied. We’ve all induldged in the classic oreo at somepoint in our lives. Unfortunately, they are loaded with sugar and other questionable ingredients that you really don’t want to put into your body. These are full of healthy fats, antioxidants, fiber, and protein. The best part is that these will actually boost your brain due to the phenethylamine (PEA) in raw cacao. PEA boosts serotonin and a chemical called anandamide which is commonly referred to as the bliss molecule. While we are on the topic of cookie classics, the all incredible thin mint is another one that sparks nostalgia. While not quite the same as the ones you get in the green box once a year, these are an excellent keto friendly replacement. For these I like to use cashew flour as the base followed with raw cacao, a bit of peppermint essential oil (or extract), stevia, and coconut oil. Another keto dessert that is satisfying and healthy! I consider coconut in most of its forms and absolute super food. If you are a coconut lover, then try these super simple coconut cookie balls. Made almost entirely of coconut flakes, these are loaded with healthy fats and fiber! All it takes is shredded coconut, a bit of vanilla, and your sweetener of choice. So Simple! It typically only takes me 2 or 3 of these to satisfy any hunger or cravings I am feeling. This is one keto dessert that I eat just about every day. In fact, this is usually my lunch! Throw an avocado, coconut oil, raw cacao, coconut milk, and chocolate bone broth protein powder in a blender and you’re set in no time. I love this as a lunch for my first meal of the day because it is easy to digest and leaves my brain humming for hours while I work. Avocado is another one of those foods that is an absolute staple on a ketogenic diet, I eat 2-3 a day. This provide plenty of healthy fats, fiber for the microbiome and bowel motility, and easy to absorb protein. These started as a Christmas idea, but they’re so good there’s no reason not to have them year round. They’re both grain and sugar free. Although their carb count is a little higher than some of the other recipes here so don’t overdo it! Instead of conventional flour, these use almond flour and a bit of coconut flour instead. These get their healthy fats from grass-fed butter for a rich buttery flavor. I love making these on special occasions. If you have a dairy sensitivity then this one may not be for you, but if you do fine with dairy it is a must try. It is extremely rich and offers the extensive benefits of blueberries for the brain and body. The combination of healthy fats and antioxidant-rich blueberries will satisfy cravings while improving fat burning and brain health. Be sure to use organic cream cheese made from pasture-raised milk. 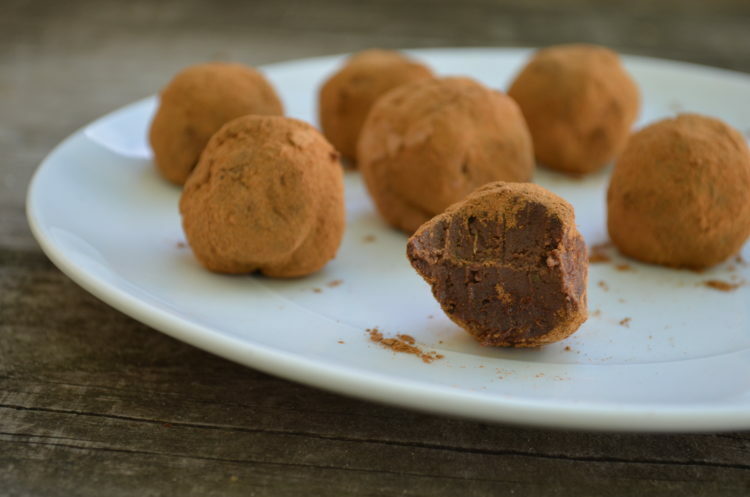 These chocolate avocado truffles might just be one of the most nutritious desserts you ever eat! The combination of avocado and raw cacao provide magnesium, potassium, anti-oxidants, fiber, trace minerals, and healthy fats. You could eat them as a meal if you wanted! These also use cinnamon which is full of anti-oxidants and helps with blood sugar stability. The flavoring agent of use is stevia, which I have mentioned before is my favorite keto sweetening agent. Pumpkin is loaded with nutrients like vitamins A and E, potassium, manganese, and copper. This keto dessert also gives you fiber, medium chain triglycerides from coconut, and cinnamon. Together these feed your beneficial gut bacteria, support ketone formation, and keep blood sugar stable. Coconut cookies with lemon glaze go together so well. These cookie bits are keto friendly and refreshing with their lemon zing. They are also a great source of fiber! Lemon juice is a great way to improve digestion and stabilize blood sugar. With their healthy fats and absence of sugar, these are an excellent alternative to most other lemon cookies you’ll find. Traditional snickerdoodles are loaded with sugar. These are keto friendly with a nutritional boost from pastured eggs, pastured butter, and coconut flour. Per serving these have 3 grams of carbs and 3 grams of fiber, meaning zero net carbs! Each cookie also provides about 16 grams of fat and 3 grams of protein. These will satisfy your sweet tooth without the crash. Let’s be honest, traditional toffee is basically pure sugar. Definitely not something I would recommend putting in your body. But it is tasty I will admit. Luckily, we have come up with a keto friendly version that is full of healthy fats! Instead of chocolate chips, which usually contain some amount of sugar, try using organic raw cacao nibs to make these keto friendly. Alternatively, you could put a 100% cacao bar through a processor to make your own chocolate chips! This fudge recipe only has 4 ingredients and is so easy to make. 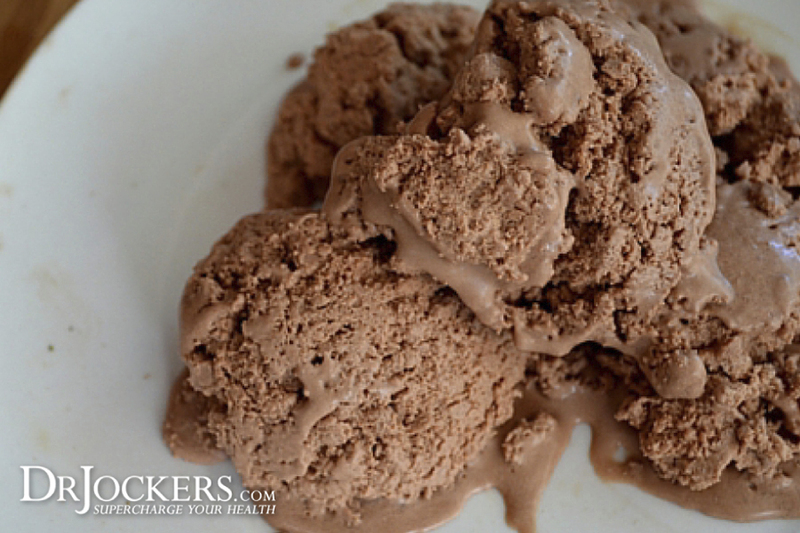 All you need is coconut butter, coconut oil, raw cacao powder, and a bit of salt. Customize it to your liking with some vanilla extract and sweetener of choice! Personally I like to use plain stevia but you could also use a vanilla or chocolate stevia – or even monk fruit extract! Just mix up the ingredients and pop in the freezer for a couple hours. It is a simple and delicious way to get fiber, ketone supporting fats, and brain boosting PEAs from raw cacao! I have even seen people boost these with our chocolate bone broth protein for added benefits and nutrition. Keto desserts are a real thing! You can have the indulgence that doesn’t also involve massive inflammation and blood sugar imbalance. In fact, there are SO MANY different ways to combine keto-friendly ingredients to make desserts that actually make you a healthier person. Try out some of the recipes mentioned above and let me know how you like them! I’d love to hear unique ways you jazz them up to your unique tastes. My wife loves experimenting and comes up with great stuff all the time. For more information on keto friendly sweeteners, read on here: What is The Best Natural Ketogenic Sweetener? 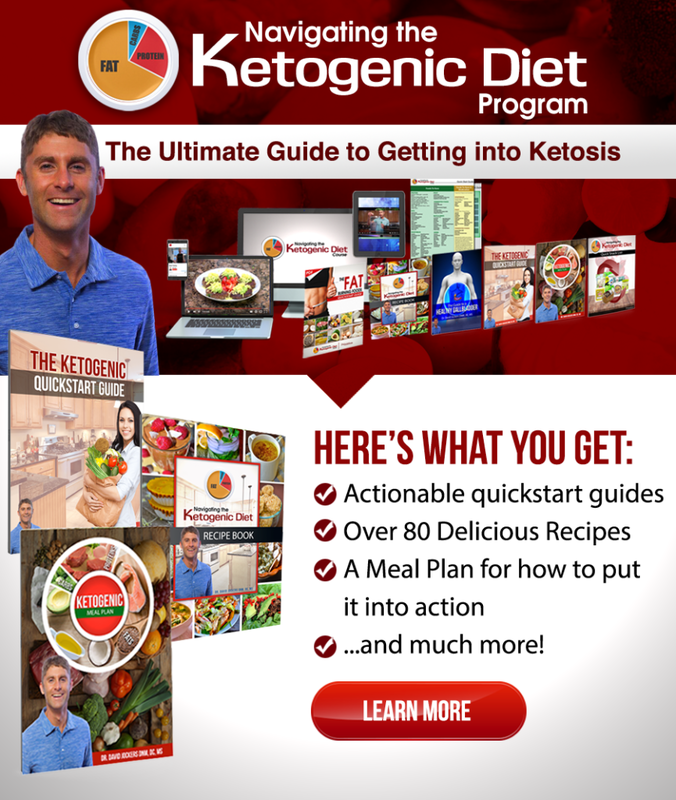 If you are new to the ketogenic lifestyle, I have an comprehensive online program that walks you through every step and includes many great recipes like the ones shown here. It has helped thousands lose weight and gain back control of their health like never before. Click the banner below to see what it’s all about! Hi Dr. Jockers, I love your website and your enthusiasm! I have a comment about artificial sweeteners. I learned from reading books by Drs. Gundry and Fung that many artificial sweeteners create a significant insulin response despite having zero calories. This includes stevia. Fung stated in one of his books aspartame and stevia increase the insulin response more than table sugar and he said sucralose increases insulin by 20% (I haven’t checked to see if he meant increase above baseline or compared to table sugar). Apparently alcohol based sweeteners do not cause a release of insulin (or perhaps not statistically significant). I’m convinced now from Fung’s books that high blood sugar is not the major culprit for morbidity, it’s insulin. I hope this information is helpful and you can research it more for all of us in the low carb high health fat community. Thank you for being a wonderful beacon of knowledge and caring! Click on the pictures Michelle! Is keto safe for a 91 year old? Lots better than a high sugar diet! Take it slowly, though. Do you recommend zero carb bread or buns? I see these products on the market but don’t really know if they are good. Thank you. Only half of the recipes have pictures…so how do I get the other recipes? I’ve chosen 4 that I definitely want to try, and there are several others that I’m interested in! Your website is a wealth of good material. Thanks for sharing your passion on these things! Something strange is happening! After I left my previous comment, the pictures magically appeared. So, if someone doesn’t leave a comment, there is no picture! Sounds like a technical issue Esther! Sorry for the confusion!